Quezon City, Philippines. 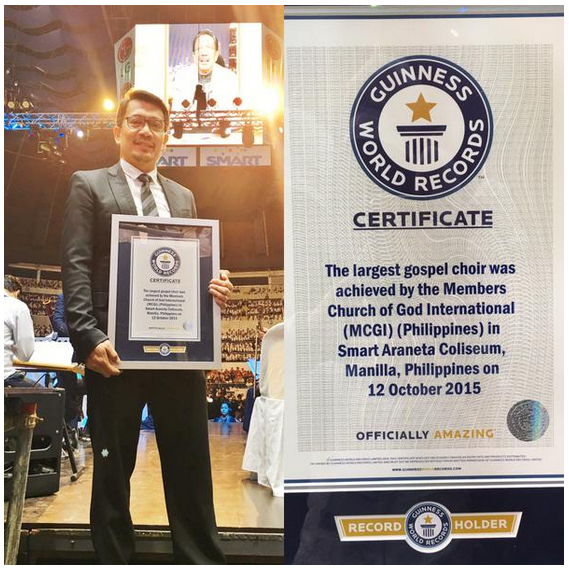 Ang Dating Daan Chorale is the new title holder for the largest choir singing gospel songs. 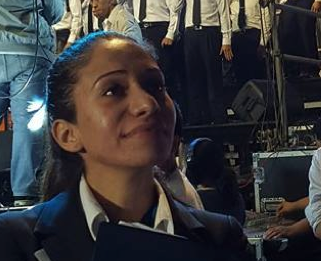 Ms. Fortuna Burke Melhem, Adjudicator of the Guinness World Record , teary-eyed while witnessing the chorale. The Smart Araneta Coliseum is filled up and it is a magical moment to see the 8,688 choir singers singing in harmony with precise synchronization of steps. After singing the 4 songs medley, videos from members whose lives were changed after hearing Bro. Eli Soriano’s preachings form the Bible. The broadcast started from the English Channel via The TOP channel or The Old Path Channel, moved north to the Spanish speaking countries like Uruguay and currently spreading vastly throughout Brazil. Quezon City, Philippines. The 12 entries for the A Song of Praise Music Festival Grand finals night are set to conquer the stage at the Smart Araneta Coliseum this coming October 13, 2015. An unforgettable event as non other than “Mr. 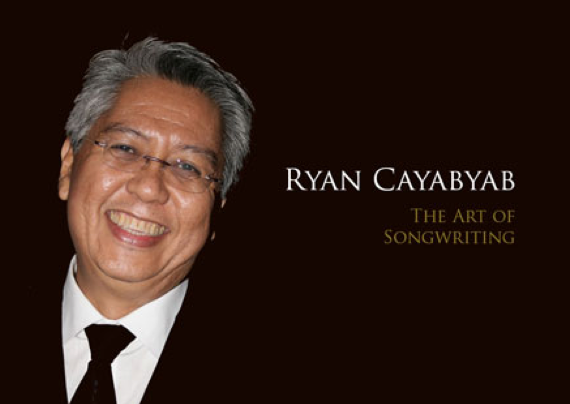 C”, Ryan Cayabyab will be gracing the event. He is a well renowned Filipino musician, conductor and composer mentoring talents and other big names in the music industry. Will he be eyeing on Mr. Jeffrey Hidalgo of the Smokey Mountain fame? A superstar in her own right, Ms. Celeste Legaspi, singer/actress in the mid-‘70’s and ‘80s (Sarangola ni Pepe), Jett Pangan, former lead vocalist of The Dawn, Jungee Marcelo- songwriter, jingle writer, composer and arranger , music producer, resident judge Doc Mon del Rosario and Lachmi Baviera—secretary of Warner Music Philippines. Here are the list of divine compositions that will captivate your hearts. “Walang Hanggan” composed by Benedict Sy, interpreted by Maki Ricafort. “Mahal Mo Ako” composed by Maria Loida Estrada, interpreted by Sabrina. “Ikaw Na Lang Mag Drive ng Buhay Ko” composed by Rolan Delfin, interpreted by Betong Sumaya. 100, 000 pesos 3rd runner up. ASOP Year 4 will be held at the Smart-Araneta Coliseum on October 13, 2015 at 6 pm. See you there!! 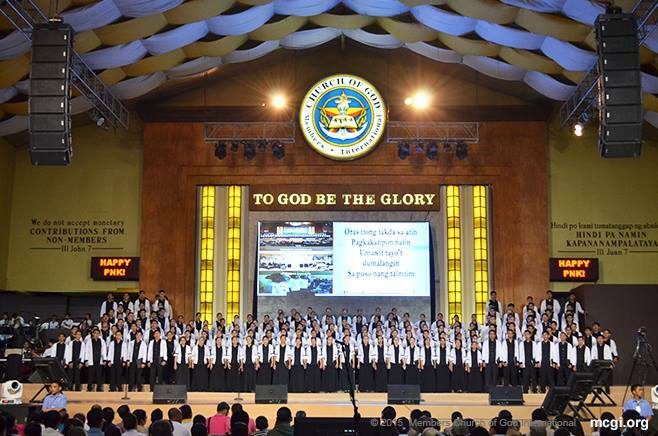 MCGI – Seeds from East to West Celebrating the Glory of God! Manila, Philippines. 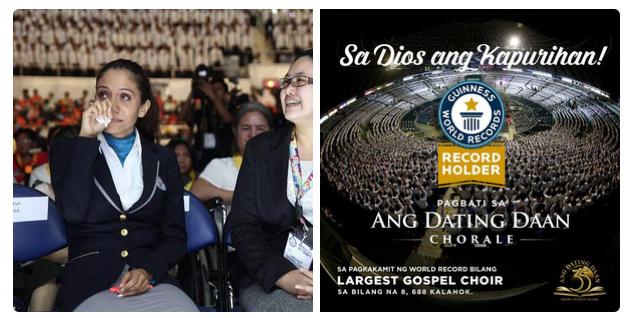 [October 6, 2015] The 3-day Thanksgiving of the Members Church of God International (MCGI) on October 2-4 presented one of the most valuable lessons in life: seeds of abraham that is impossible to be counted, caring for our children and the fulfillment of the prophecy of Gods people. It rained for days but this had not stopped them from giving thanks to God to and travel to reach the ADD Convention Center in Apalit Pampanga and attemding other remote points with 1,361 satelite recievers around the globe. On the first day, Bro. 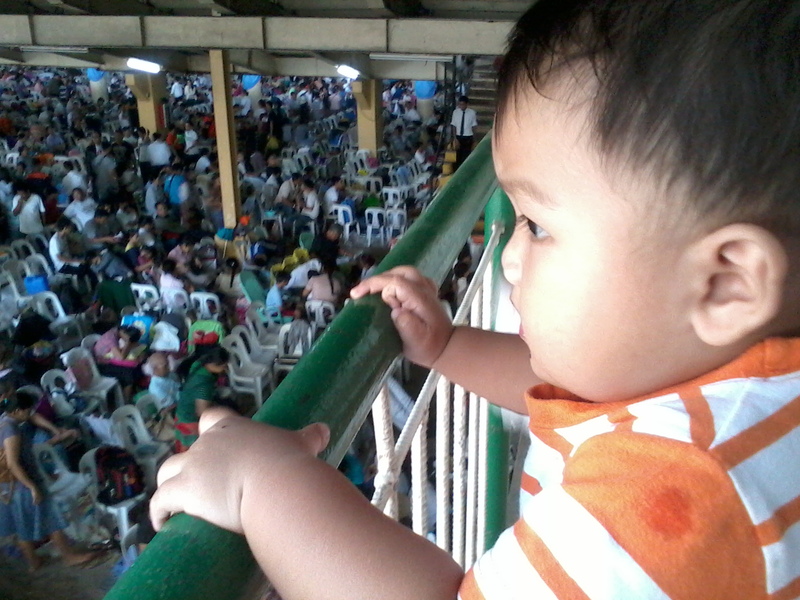 Daniel Razon talked about the importance of including our children in all church gatherings. It is a fact that children is often neglected and being shoved off in almost all events of the family. They are seen as an annoyance and disturbance because of their nature as temperamental and easily get bored. Parents are encouraged to bring along their children to hear and be familiar with the songs and praises to God. As for other members, they are advised to be patient and understanding to their little ones. The Members Church of God International, seeing the importance of kids hearing the word of God, they were also given a room in every locale called KNC Rooms. A destined worker will supervise and teach the children about stories from the Bible. There, they have activities such as Bible reading, singing, and even preaching. Through this motivation of encouraging parents to bring along their kids, the KNC Show is taken into the television program to further reach every household. Enjoy while learning. This is the aim of the program – to learn and at the same time, having fun. Kawan ng Cordero aims to help our children to be God-fearing as well as be an example to other kids. As UNTV’s only Bible School on Air, its main goal is to foster mental, social, emotional and spiritual well-being for generations to come. Every episode will cater to the artistic and sporty side of the children. Twelve years after its first episode in 2004, the program received awards from various award giving bodies like the Golden Dove Award for Best TV Program and Anak TV Seal Awardee in 2013 and 2014 respectively. Kawan ng Cordero can also be seen via Dream Cable ch.9, Destiny Cable ch.9, Sky Cable ch.33 and of course, UNTV Channel 37 weekdays. The propagation of the word of God through Bro. Eli and Bro. Daniel Razon had produced an astounding number of souls hungry for the word of God. The Latin Americas is 90% dominated by Roman Catholic. The humble beginnings of Ang Dating Daan’s propagation had encountered the hardest, amazing, unusual, controversial journey. But all these trials had paid off because of the ever growing numbers of members around the globe. Year 2001 to 2010 is the dawn of the Members Church of God International and Bro. Eli Soriano which program Ang Dating Daan is being barred from his freedom of speech. That doesn’t stop there. The MTRCB completely stopped him from guesting to other programs which shackled him from preaching on television. A fabricated case against Bro. Eli that made him decide to fled to another country. The first broadcast of the program in Porto Alegre is embraced immensely. Within just 3-4 months, the hotel was jam-packed because of the unexpected attendees of the Bible Exposition. Inside, guests were crying whilst the program is on-going. Touched by what they heard, deepest emotions were seen throughout. Hindrances and many other problems encountered by the group, still, the demand to hear the word of God is astounding. Locales were immediately placed. Uruguay, under Brazil, the first Spanish country to have the broadcast. The program was opened in Argentina, Peru, Bolivia. 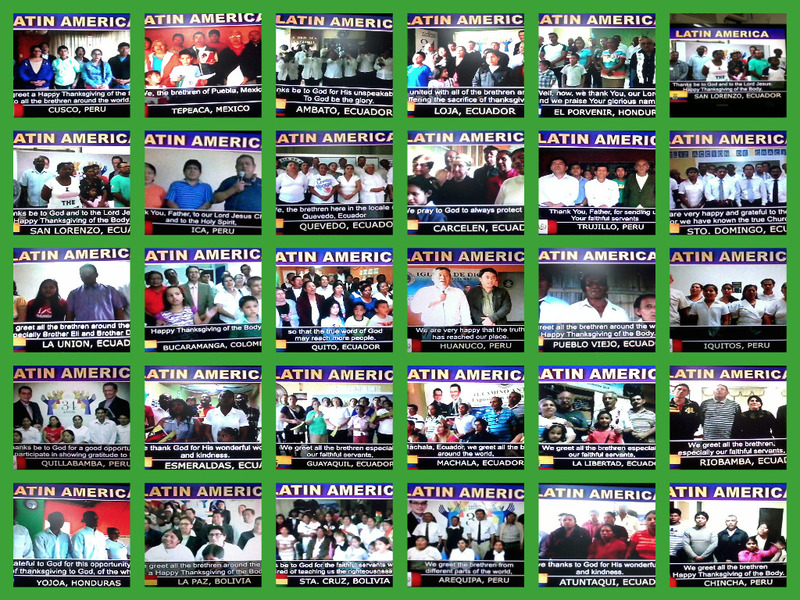 Baptism in Peru and Bolivia is conducted without a locale and workers. God leads the way to seek the program and reached Ecuador, Colombia, Venezuela, Honduras and El Salvador, in which the program can be seen 24/7. The map which started at Uruguay , the propagation is going up to the map. The antipodal map showing the straight line connecting the Philippines and Brazil. 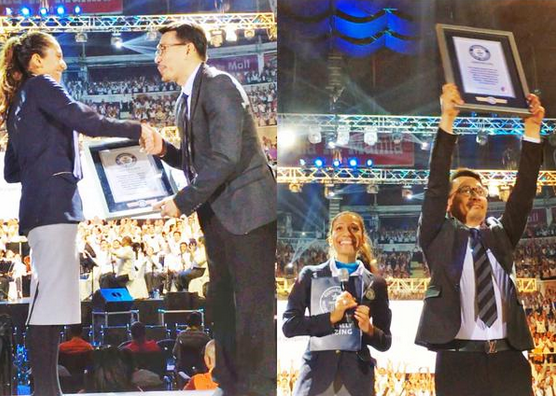 Ang Dating Daan is the longest running religious based TV show in the category of religion.